Ok so by now we all know (or should know) that Facebook ads when done properly are about the lowest cost ad venue to be found anywhere. The key words in there though are ‘when done properly’. So the question that just about everyone new to Facebook advertising asks is how do I set up my ads so that I can get the best results, lowest cost per click and highest click through rate. Well before we get into that to much first lets clarify one thing. The cost per click (or even per 1K impressions) that you pay Facebook is very much related to how well the ad performs. The more people who click on the ad the lower the CPC price will be. While this may seem counter intuitive it is actually quite logical when you think about it. 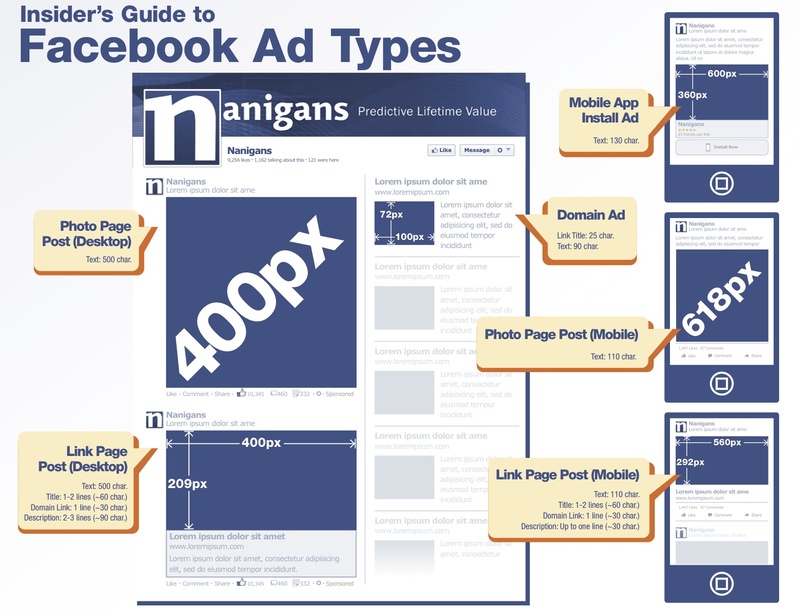 When doing a CPC ad Facebook gets paid each time someone clicks on your ad. Now lets say for example your ad is shown 100,000 times and has a conversion rate of 0.05%. This means that you got 50 clicks for your 100K impressions. Now lets say that Facebook charged you $0.50 per click. So this means that they earned $25 from you. They basically got paid $25 for showing your ad 100,000 times. Now lets see what happens if your ad is shown the same number of times but it has a conversion rate of 0.1%. This means that you got 100 clicks. Now lets say Facebook charges you $0.40 per click. They have now earned $40 for showing your ad 100,000 times. So even though your CPC went down ten cents there payment for the same number of impressions has nearly doubled. Since Facebook, even though they are huge, like every website, has a limited number of visitors each day they can only show a finite number of ad impressions each day. Since they get paid per click, and of course want to earn as much per day as possible, they want to ensure that only the ads that are going to get clicked as much as possible are shown. They do this by giving a lower CPC price for the ‘good’ ads and a higher CPC price for the non converting ads. This entices advertisers to keep showing the good ads, which results in more clicks, and in the end more revenue for Facebook. This also helps the advertisers because they get more ‘bang for their buck’ when running ads. Ok so now that we know that we pay less for ads that convert well the next question is how do we get our ads to convert well? The key to doing this is targeting. Targeting has always been the backbone of effective advertising. You would not want to show an ad for a Honda CBR 600 motorcycle to your 75 year old grandma (or would you) because she is unlikely to be interested in it. You would not show an ad for baby formula to someone with no kids, and you would not want to show an ad for the newest PS3 game to someone who does not play video games. These would be wasted impressions and as we can now know wasted impressions cost us money in the form of higher cost per click on the ad. Facebook has an amazing amount of data about its users. This data allows us to really target our ads and hopefully show them only to people who are interested in what we are advertising. The problem is that Facebooks data is sometimes a little ‘fuzzy’. We need a way to be able to better target our ads. Fortunately custom audiences allows us to do this. There are a couple of ways to use custom audiences. My two favorite ways (both of which are included in the Tab Engine suite of apps) are to target Facebook groups and to target the fans of your competitors. Targeting Facebook groups is very cool because there are Facebook groups on just about any subject you can think of. By pulling the active users from a Facebook group that is related to the product you are advertising you can be reasonably sure that people are going to be interested in your product. The key to this is pulling only the active users. You dont want people who joined a Facebook group 4 years ago and never came back. Those people are probably not interested in the subject of the group anymore (or never really where). However people who are active in the group are very likely interested in the subject of the group. Think about it. Who joins a golf group, and is active in it, if they are not interested in golf? Targeting competitors fans is actually my favorite way to build a custom audience. Again the key here is to pull only the active fans. We want the people who interact with our competitors fan pages as those are the ones most likely interested in the subject of our ad. We are not interested in a person who liked a competitors page 2 years ago and never came back. They have probably lost interest or never really where that interested in the first place. What I really like about targeting ads to my competitors fans is that I can write my ad copy knowing that they probably use my competitors product or service. This lets me write the copy in a way that subtly shows why my product or service is better than the competitors. But once we get our list of highly targeted Facebook users how do we ensure that our ads only show to those people? The answer is we use the Facebook Power Editor. This is a free Google Chrome plugin that will let you do some really awesome stuff with your ads. One of those things is it lets you create custom audiences. You can then elect to have your ads only show to those custom audiences. Here is a tutorial video I made a for the Tab Engine users on how to create a custom audience using the Power Editor.